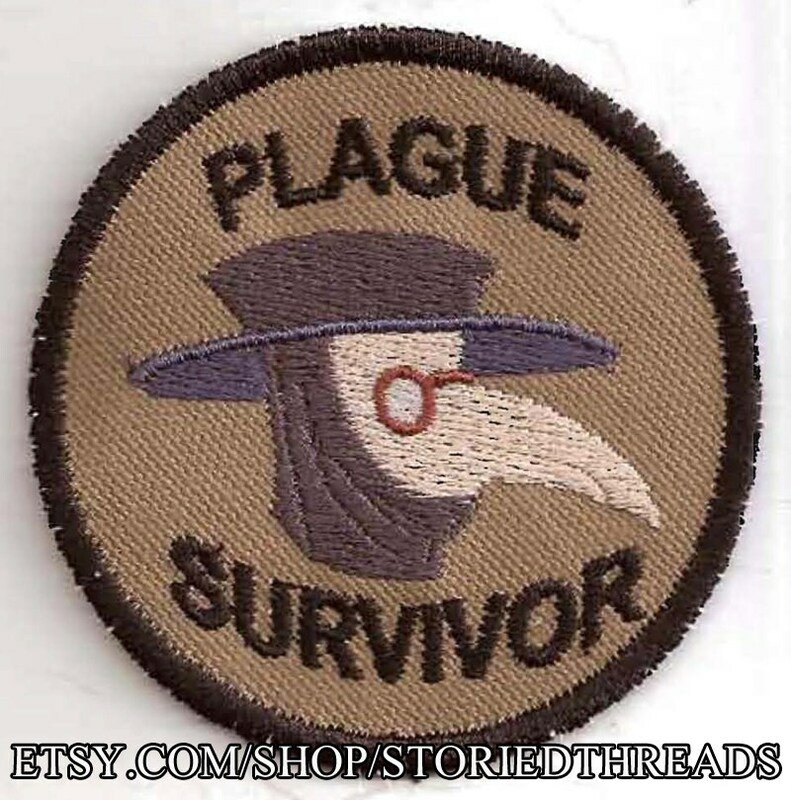 Everybody knows that the bubonic plague is transmitted via bad smells. It's a fact. So to survive, don a creepy bird mask and stuff the bill full of oranges, roses, and other fragrant things! Once the dead have been counted, this merit badge will show the world how resilient and clever you are. This sew-on patch measure 3" in diameter. All patches are made to order. Please allow 7 to 14 days for construction before shipping. Standard shipping for all items is by First Class mail and does not come with tracking information. If you wish to add tracking, please ask (an additional charge may be necessary).